All the spacious tented rooms have ocean views, romantic thatched roofs and discrete privacy. Hill side accommodation enjoys fantastic views of the Indian Ocean as well as a cooling night time breeze. These rooms are located on the hillside, enjoying privacy, panoramic views of the Indian Ocean and a cooling breeze. Decks have recently been extended to accommodate two chairs and two sun loungers. In room fridge and safe. These rooms are allocated on the beach so guests can stroll straight from their bungalow onto the beach. Each bungalow has two sun loungers at the front, on the beach as well as a small private deck. Situated right on the beach. This bungalow has extensive private deck with elevated seated area for relaxing and reading plus a plunge pool. As Beach suite but slightly set back from the beach among the mangroves with great privacy. Has extensive private deck with elevated seated area for relaxing and reading plus plunge pool. These extensive suites (9m x 6m) offer deluxe accommodation incorporating stylish bedroom and open plan lounge. The spacious outside deck area is perfect for intimate dining and guests have the option of cooling down in the huge plunge pool. They incorporate a stone walled bathroom with doublesink and shower. The Indian Ocean that surrounds Pemba features some of the best snorkelling and diving sites in the world. 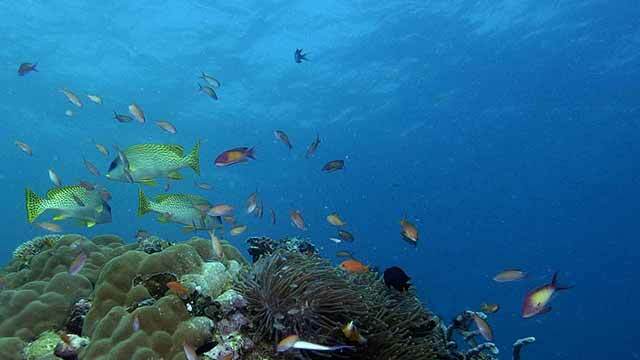 Shallow coral lagoons drop off to spectacular depths supporting a vast range of marine life. 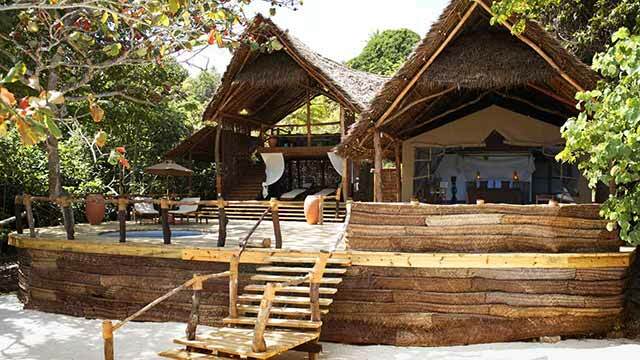 Dive 710 is honoured to be a 'PADI 5-star Dive Resort'. 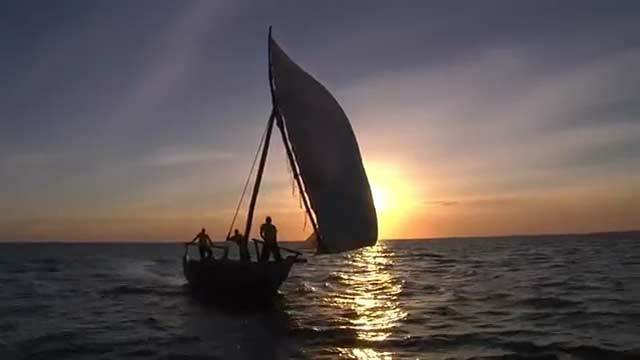 We are committed to sharing the thrill and excitement of Pemba's rich diving diversity as well as conserving the natural marine life in the area. Dive 710 is staffed by an experienced team that has vast local knowledge about the area and our powerful dive boats ensure that all the sites of Pemba are within easy reach. Fundu Lagoon has everything you need to enjoy the Indian Ocean, from wakeboarding to windsurfing, kayaking or simply strolling along the peaceful shoreline where it is lovely to watch the Mamas and kids collecting clams or just passing by...if you are lucky, you might see the local fishermen bringing in their daily catch. Nearby there is a paradise beach at Misali Island, a short boat trip away and inside the protected marine conservation area. The only disturbance to these white sand beaches is by green and hawksbill turtles. It is an ideal and relaxing day out with palm trees fringing the white sands and offering shady picnic spots. The warm turqoise shallows are ideal for snorkelling amongst the brightly coloured reef fish.